The following 1876 Nussey Steamer wasbuit by Joseph Nussey and Compnay of Paterson in 1873. 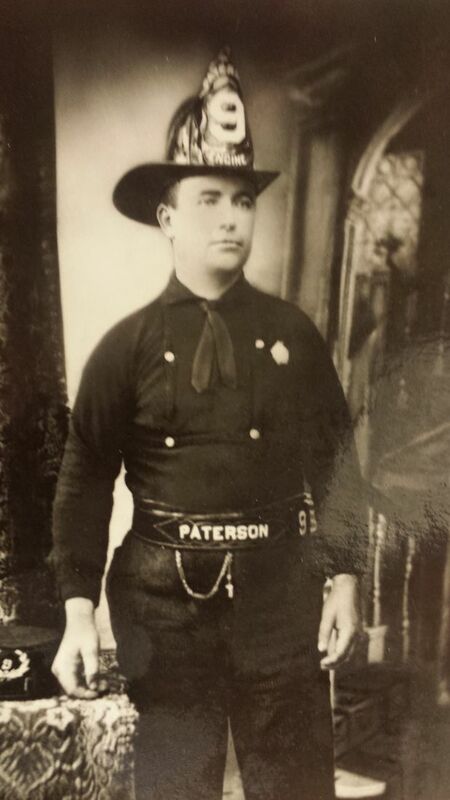 This was the last of the 3 Nusseys and entered service in 1876 as Paterson Steam Fire Engine Company 9. 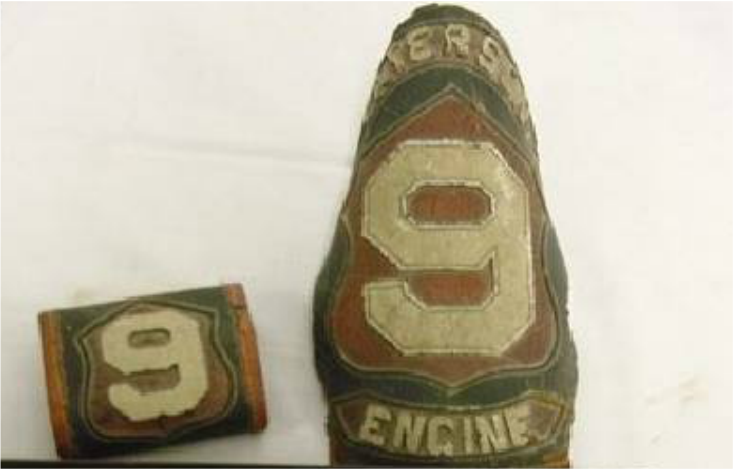 Note the glass of the Engine Lamps are etched as "9." 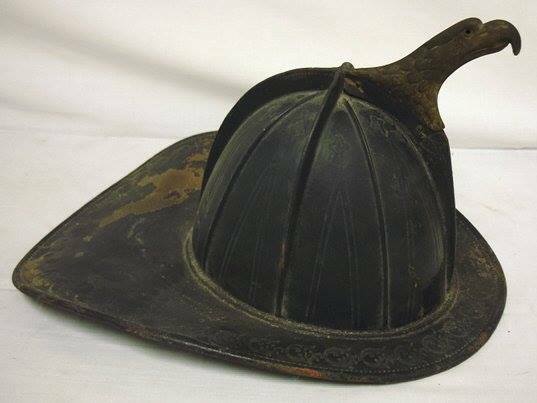 It is pictured later as a spare in front of the Prospect Street Firehouse. Note the helmet with a 3 on the shield on the seat. 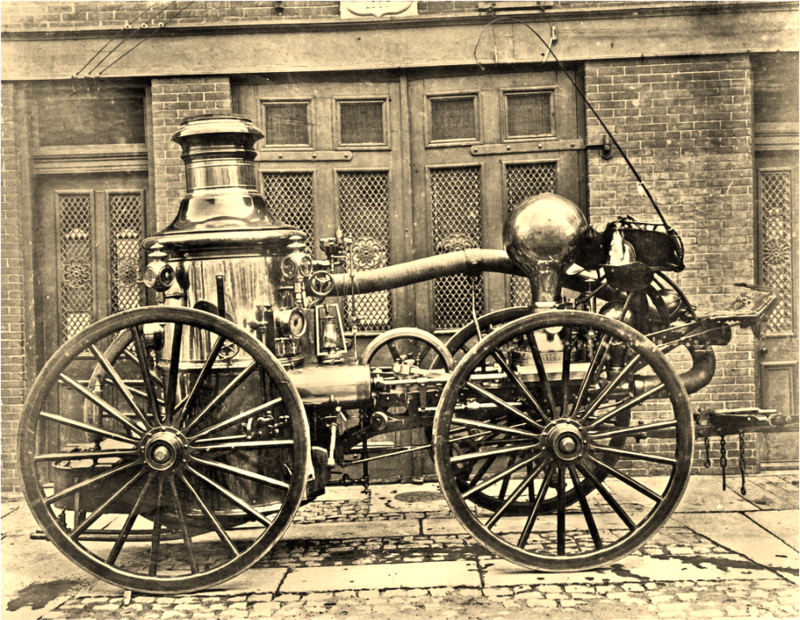 At the time of the photo Washington Engine 3 quarters was at the Prospect Street Firehouse. The apparatus weighed 6000 lbs. Steam cylinders were 6.5 inch diameter and pumps were 4 inches and the stroke was 8 inches. Foreman, JOHN KEDASH. Assistant Foreman,MICHAEL J. RYAN. Secretary, ALONZO G. SNYDER. Treasurer, JAMES ROBINSON. Engineer, MICHAEL HELNAN. Assistant Engineer, WILLIAM BURTON. 1 Abraham A. Post.. . .. .. .Engineer ......... .654 Main street. 4 John Kedash. ......... Heater ......... ............250 Spring street. 6 Nicholas R. Snyder. ... . Roller ...... ...........74 Plum street. 7 Thomas Clark........... Laborer .................. .477 Main street. 8 Joseph Frolich ....... .Helper ............ ..........16 Peach street. 9 Daniel Ryan. ...........Helper ...................163 Jackson street. 10 Michael J. Ryan.. ...... Mill Hand. ....... .261 Spring street. 11 Frank L. Simons. . . .. ..Helper ............ .639 Main street. 13 John E. Whalen. ...... .Ruffer... ....... .......69 Plum street. 15 Richard Growney. . ... Teamster . . .. . .. 522 Main street. 16 Frederick A. Berghorn. ..Catcher .. ..........6 Peach street. 25 William Rosse.. ..... .Grocer. ....... .... 303 Marshall street. 26 Nathaniel Haycock . . ..Helper.. ......... ..Spring & Clay sts. 27 John Ruffing ......... .Laborer ........ ..301 Marshall street. 36 John O. Rouke........ Liquor Dealer. . . . . 54 Washington ave.
38 Michael Helnen........ .Silk Spinner. ....... 11 Washington ave.
39 John Roach.. .......... .Helper .....................35 Washington ave.
41 George Van Orden.. . . .. Shoemaker ........12 Washington ave.
42 James Butler...........Helper...........................37 Washington ave.
43 John Rheinhardt ..Liquor Dealer.Cor. Marshall & Van Winkle streets. 44 John J. Leoy. ......... .Teamster. ... . ... ..88 Chadwick street. 48 John Beasley........... Helper. . ... ... . . . .. 37 Plum street. 49 John Glass.... ....... .Carpenter ........ ...... .192 Jackson street. 50 George Slater. ........ .Silk Weaver. ..... .614 Main street. 51 Matthew Conway ...... Fitter up.......... 60 Plum street. 52 Martin Mailio. . . .. .. .. .Carpenter ........ 174 Marshall street. 59 Henry Lutz. ........... .Silk Weaver. ...... 319 Marshall street. 67 Louis Braun........... Liquor Dealer . . . . Marshall & Mary sts. 69 Stephen Carroll........ Helper.. ........... 556 Straight street. 71 James McNulty.. ....... .Moulder. ......... .Main & Mary streets. 72 Andrew Vreeland....... .Foreman . ........ 8 Weiss street.